2.3.1 Draw and label a diagram of the ultrastructure of a liver cell as an example of ananimal cell. 2.3.2 Annotate the diagram from 2.3.1 with the functions of each named structure. 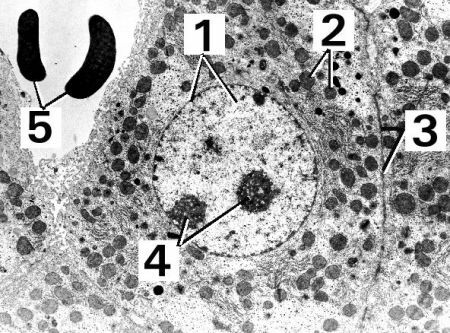 2.3.3 Identify structures from 2.3.1 in electron micrographs of liver cells. 2.3.4 Compare prokaryotic and eukaryotic cells. 2.3.5 State three differences between plant and animal cells. 2.3.6 Outline two roles of extracellular components. Class discussion leading to origin of eukaryotic cells and the endosymbiotic theory based on the given questions. What was the most important change in the early earth? How are blue green algae different from other prokaryotes? What does the narrator mean by “ microscopic organisms affecting an entire planet bubble by bubble”? How did the presence of oxygen change the environment? What is the new form of life and how is it different? Why is the chloroplast of importance to the scientists? How can we say that chloroplasts were independent organisms? What is the endosymbiotic theory? 2.3.1 Draw and label a diagram of the ultrastructure of a liver cell as an example of an animal cell. Has a well defined nucleus. Shows presence of membrane bound organelles. Nucleus shows the presence of chromosomes. 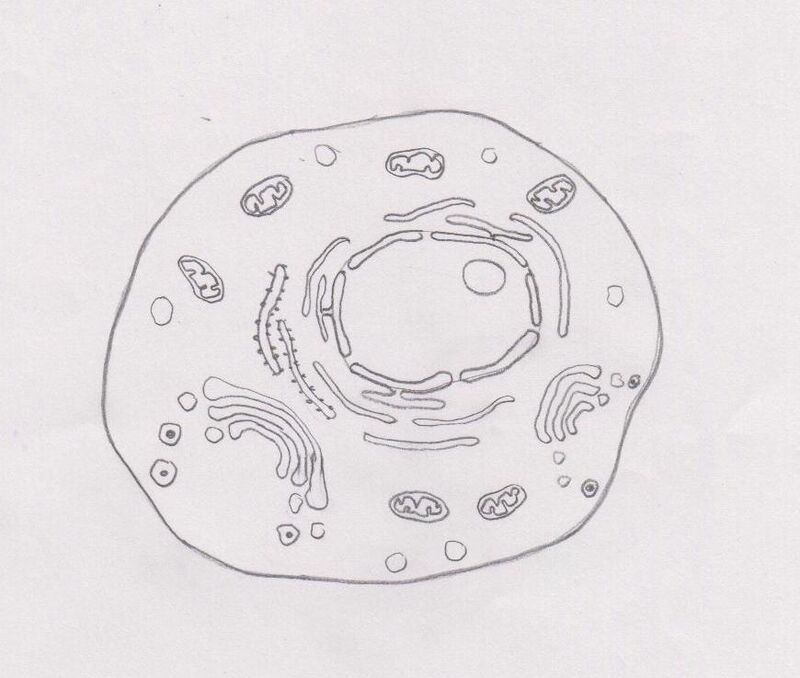 Organelle is a distinct structure within a cell. Some are enclosed in their own membrane. Plant cells have a large central vacuoles and animal cells do not have. Carbohydrate are stored in the form of starch in plant cell and glycogen in the animals cell. Plant cells have plasmodesmata animal cells don't. Animal cell has centrosome whereas plant cells don't. Plant cells are generally large with fixed shape where as animal cells are more rounded. Found around all plant cells made up of cellulose. It maintains shape, prevents excessive water uptake, provides protection, supports the whole plant up. Animal cells do not have a cell wall, the plasma membrane secretes mixture of sugar and proteins called glycoproteins, that forms the extra cellular matrix. It helps in support, adhesion and communication. Basement membrane: a secretion formed from collagen and glycoproteins joined together by a third 'linkage' protein. Their exact composition varies form tissue to tissue. Interstitial matrix: Bone has a matrix which includes collagen with a calcium phosphate. Other tissues are surrounded by a matrix composed of a kind of gel that provides support for the tissue.